Selling Restaurants presents this newly remodeled restaurant and bakery. It is located in the heart of college town. Hungry students and staff pack the place day and night. Located on a corner just off of one of the busiest walking areas in the city, the restaurant and bakery is perfect for the award winning food it serves. 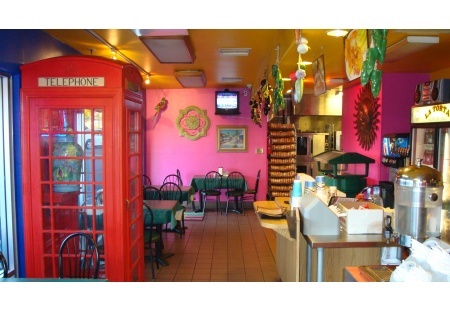 The restaurant is inviting with big windows providing plenty of advertising opportunities. The rent is only $2,500/month for this 1428 sq. ft space. The warm d�cor package sets customers up for an enjoyable meal they tell their friends about. With the large portions and great selections the loyal customers keep coming back for more. In addition to the restaurant sales there is a bakery that adds to the bottom line with wholesale bread sales to many local bread companies. They even have a custom van used for catering and bread deliveries included in the sale. Save your self the trouble of building your own place and years of building a great reputation and buy this existing restaurant and bakery. Owner is motivated bring all offers! Click on one of the orange buttons below to get more information and pictures.